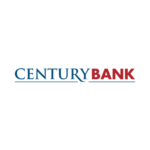 Century Bank has been serving the Great State of New Mexico since 1887. In August of that year, in an effort to develop the Santa Fe community through mortgage lending, Mutual Building and Loan Association was founded with $500. In 1982 Mutual Building and Loan Association went through a name change and became Century Federal Savings and Loan Association. Since then, other changes have led to Century Bank’s current status as a state chartered and locally owned, full service, community bank. Century Bank is proud to support New Mexico’s financial needs including: Commercial Loans, Small Business Loans, Mortgage Loans, Consumer Loans, Deposit Products, Wealth Management and services including Electronic Banking and Treasury Management. With a vision of being New Mexico’s community bank, Century currently has locations in Santa Fe, Española, Albuquerque, Las Cruces, and Rio Rancho. Century Bank is proud of its commitment to the people and communities of New Mexico. We continue to support our communities with our philanthropic efforts, lending money back into our communities, and helping New Mexicans with all of their financial needs. With local board members and over 150 employees, Century Bank is honored to be a part of New Mexico’s heritage.